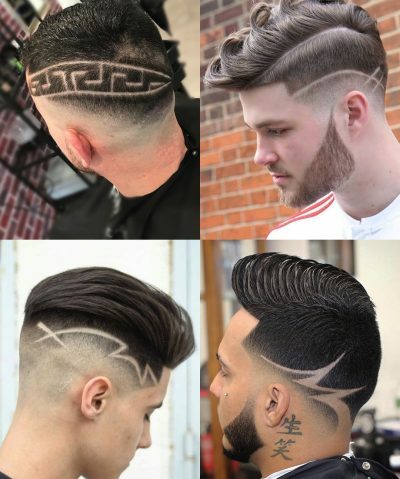 Telling your barber what sort of cut you’d like can seem like an impossible mission sometimes. And not because you don’t know what you want – you may have the ideal cut mapped out in great detail in your head, from top to sides! But you still struggle to communicate exactly what look you’re going for – because you’re not familiar with the terminology your barber uses. And that, my friend, can cause all sorts of problems. Long gone are the days of bringing in a magazine page with Brad Pitt’s face (and hair that turns us green with envy!) you sneakily ripped out when no-one was looking – that’s a little too embarrassing. Yet, not being able to express exactly what look you want can result in a pretty bad cut – and a few months of bitter disappointment. Well – worry no more (worry turns hair grey!). Because we are about to introduce you to the barber lingo. 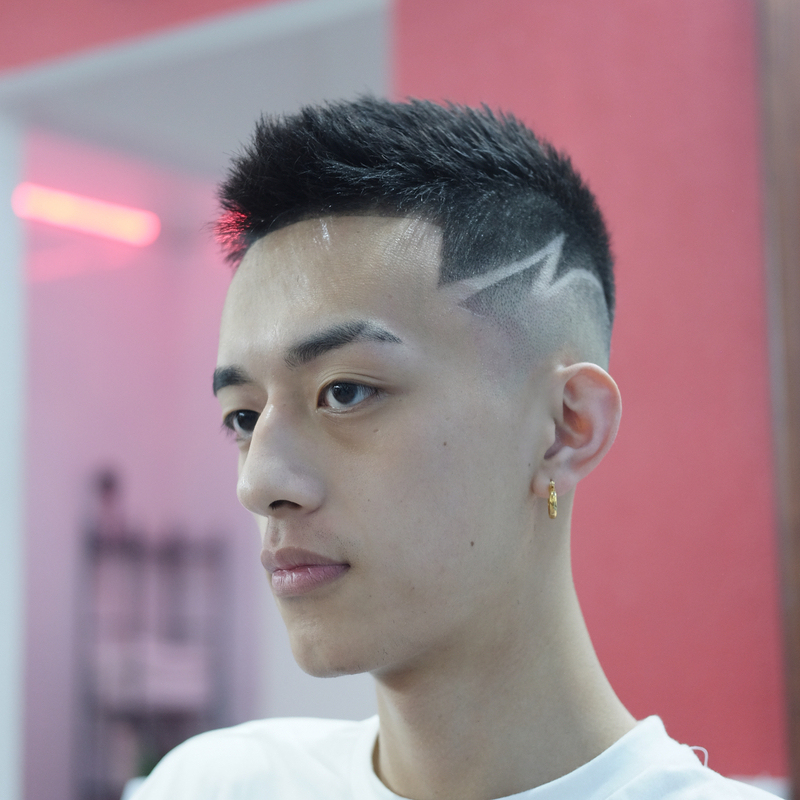 We’ll tell you all about the names of different types of haircuts, so that you can communicate to your barber what you’re after – like a pro. Living in the modern age comes with many advantages – and a ton of hairstyles to choose from is definitely one of them. 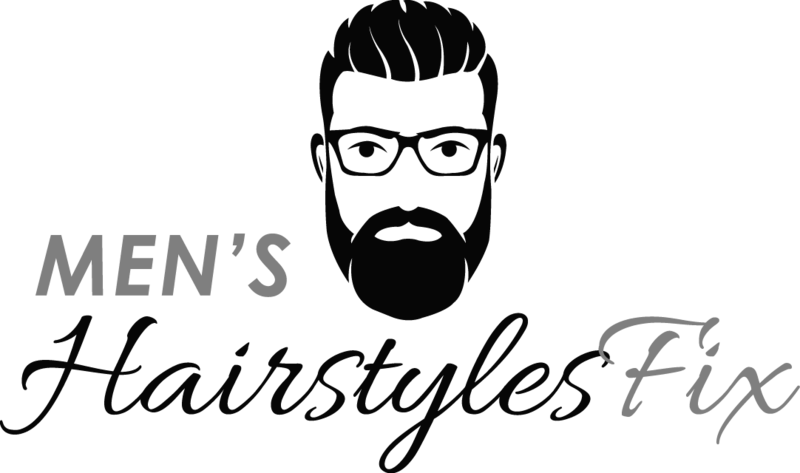 From classic pomps to the contemporary fade, when you’re learning about the different types of haircuts for men, there’s a lot to take in. Which is why, we’ve compiled a list of the key haircut types, illustrating each type with an image or two to clear up any confusion. You’re welcome! The buzz cut is for a man who likes short, neat and easy-to-manage hair. It’s for a brave man – one who isn’t afraid to reveal the shape of his skull, which will most likely show. 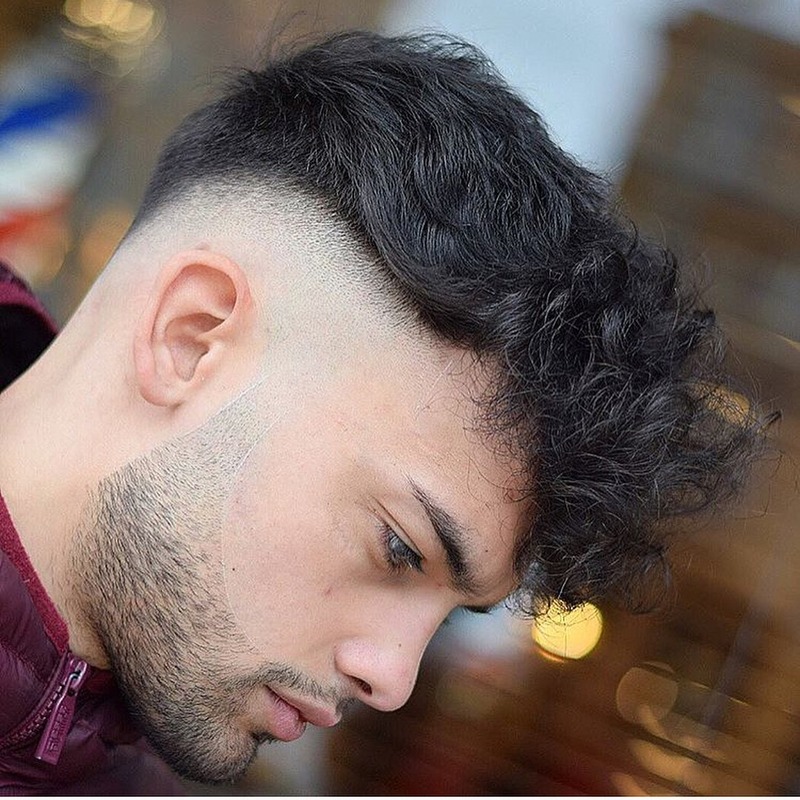 This practical cut involves trimming your hair with clippers to the same length. You can choose the length of hair you’d like to be left with – but for most buzz cuts, barbers will use clipper sizes 1 or 2. The only downside is the fact that you’ll need to visit the barber quite regularly to maintain the short length. 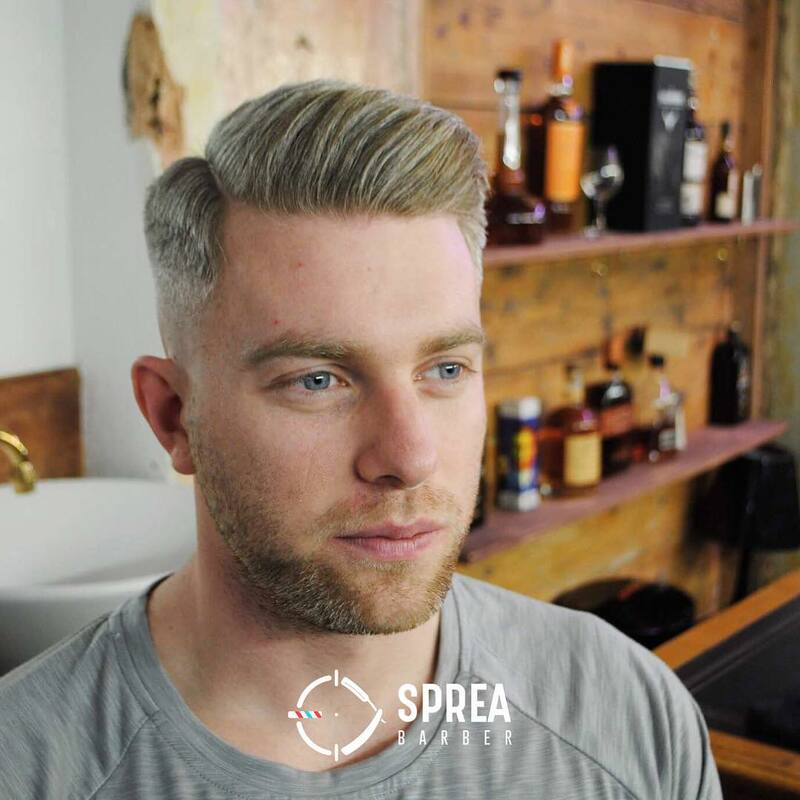 Low-maintenance, practical and cool – that’s what a crew cut is like. 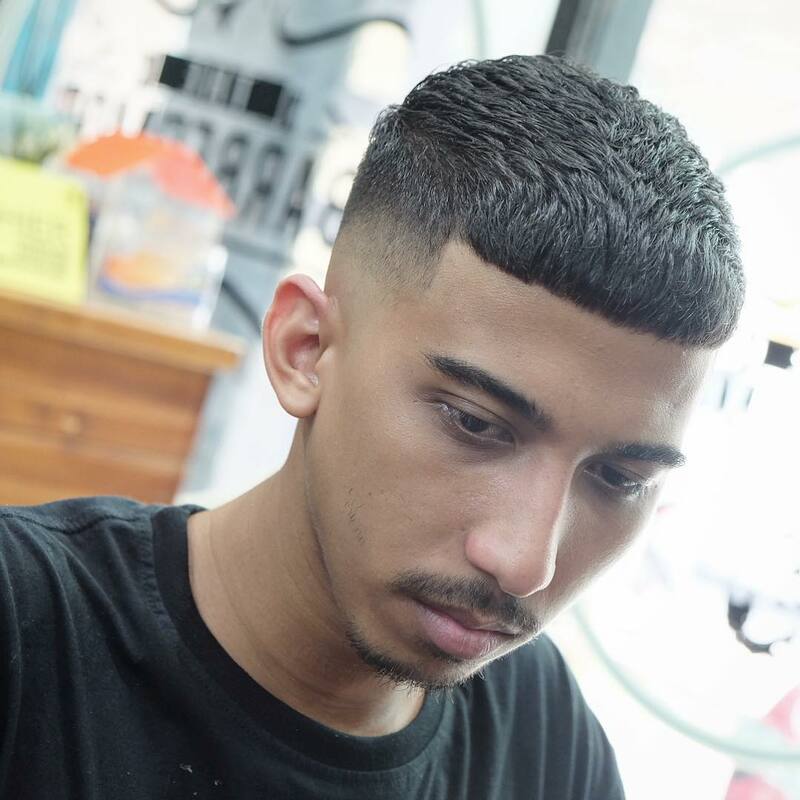 Traditionally seen on the heads of soldiers and known as a military hairstyle, the crew cut is a popular hairstyle choice for a modern man – and has even been voted one of the top men’s hairstyles of 2018! 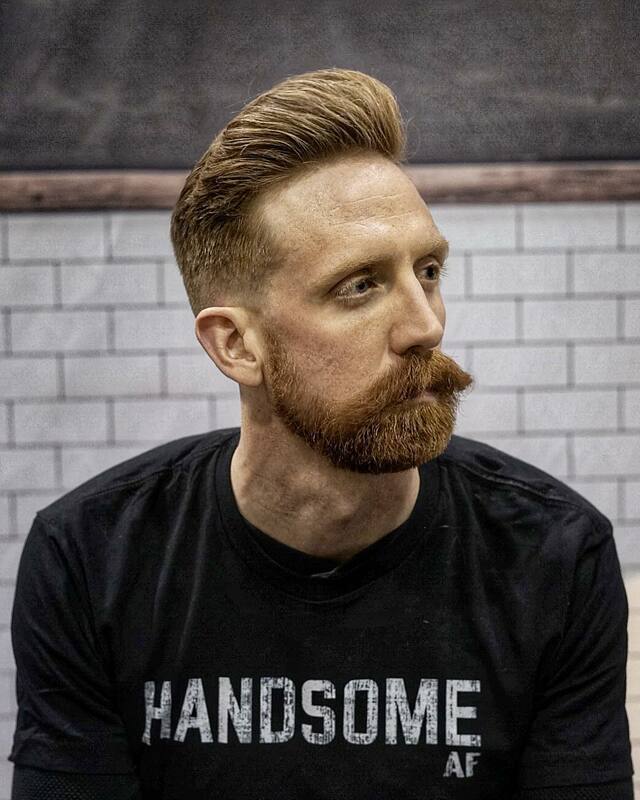 A crew cut will involve tapered sides and back, with a short all-round cut on top (usually, number 1-2 for the sides, and 3-4 for the top). You’ve met the charming combover before, haven’t you? 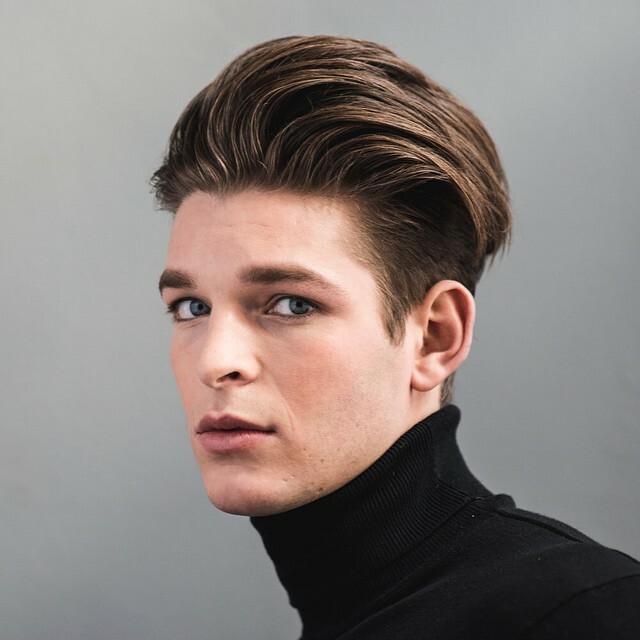 Well, this hairstyle is both modern and classy – so if you’re a man looking to jazz up your look, but have serious meetings to attend – this one might be for you. The combover usually has faded or tapered sides and longer hair on top – and will involve a deep parting with a smooth and silky top. Like the pomp, you’ll need medium to long hair on top to create this style – but just a little bit of wax each day to create the look. You’ll simply need to comb your hair to the side – and – voila! Fade has risen in popularity over the last few years – and continues to do so. It’s often the key element of the “short sides, long top” haircuts. 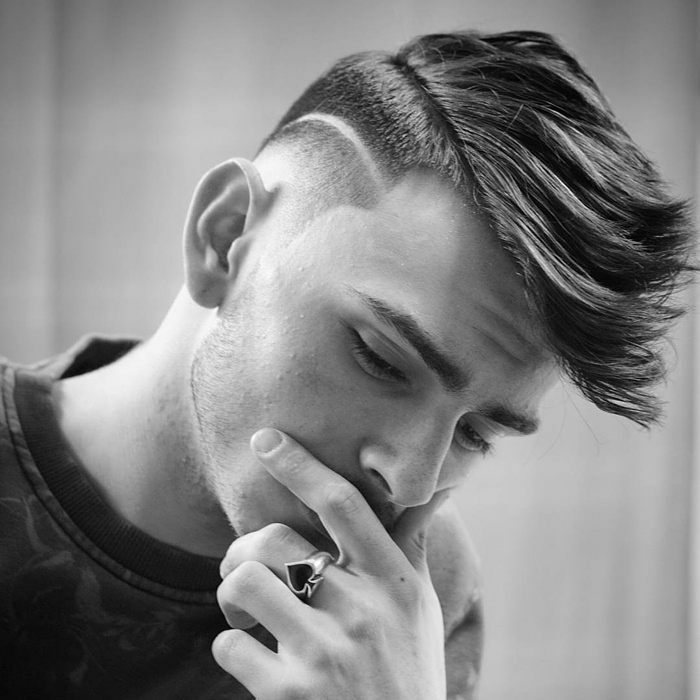 A fade essentially means closely trimming the sides with hair clippers – and leaving the top longer. 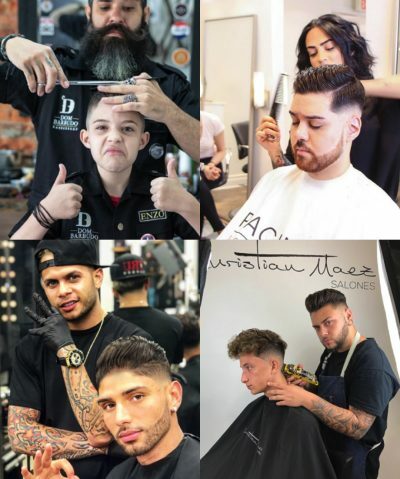 This is where the knowledge of haircut numbers and clipper sizes comes in handy – so make sure to be prepared to show you’ve done your homework when your barber asks whether you’re after #1 or #2, so you don’t have to stare at him blankly. 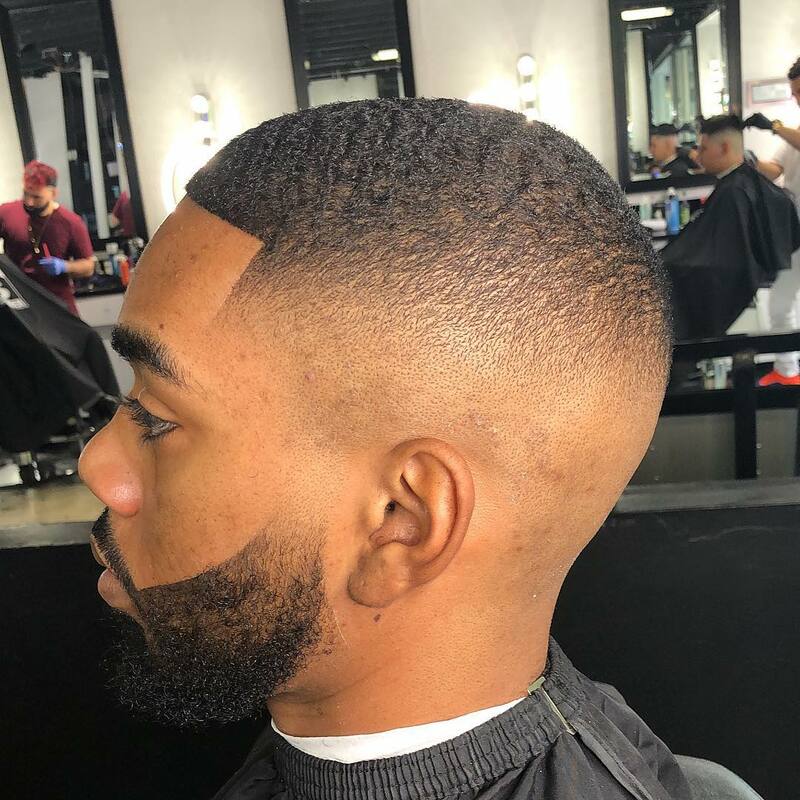 A fade is very similar to taper, but – as you’re about to learn – there are some significant differences between the two styles. 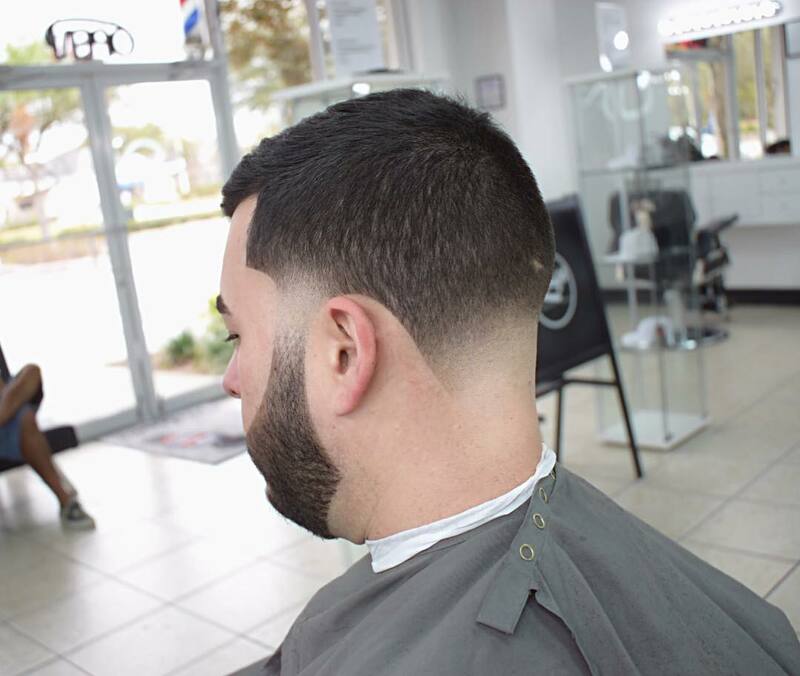 A taper and a fade are often used interchangeably – but a professional barber will tell you they shouldn’t be. 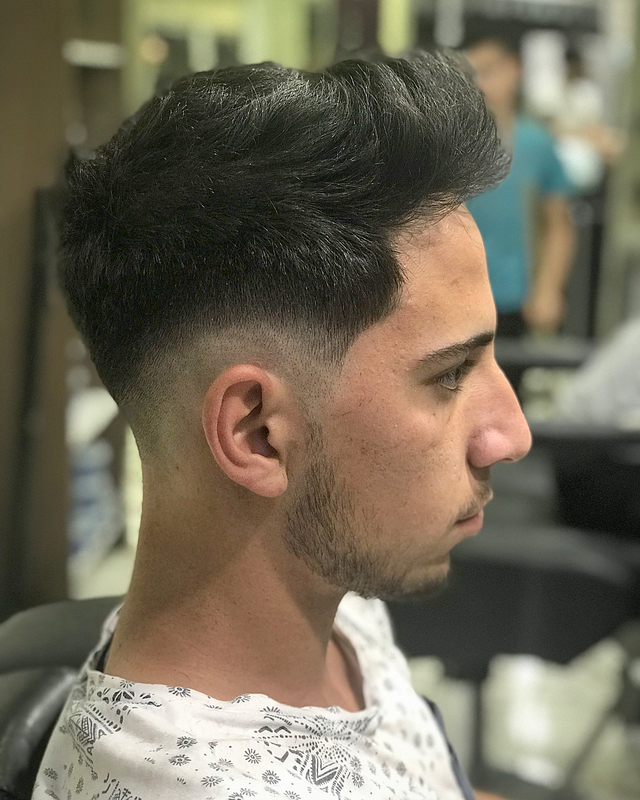 Both taper and fade haircuts begin with longer hair at the top of the scalp – but taper will generally be more conservative, because the hair on the sides will generally be longer. If you get a taper, the length of your hair will gradually get shorter from top to bottom on the sides and back – until it reaches the ear. A bald fade (also referred to as skin fade or razor fade) means a total shave of the sides, gradually fading into the hair at the top. 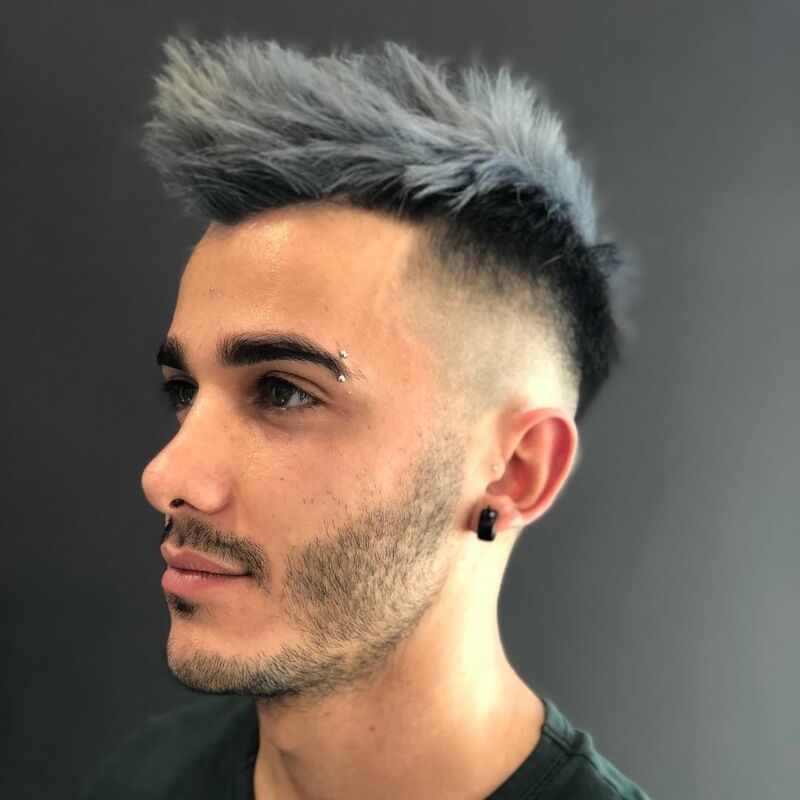 It’s a clean and edgy look – and it can create quite a lot of contrast between the sides and the top, particularly if it’s a high fade (we’ll get to that!). A bald fade is a brave look because of the totally shaved sides – and may not be for everyone! 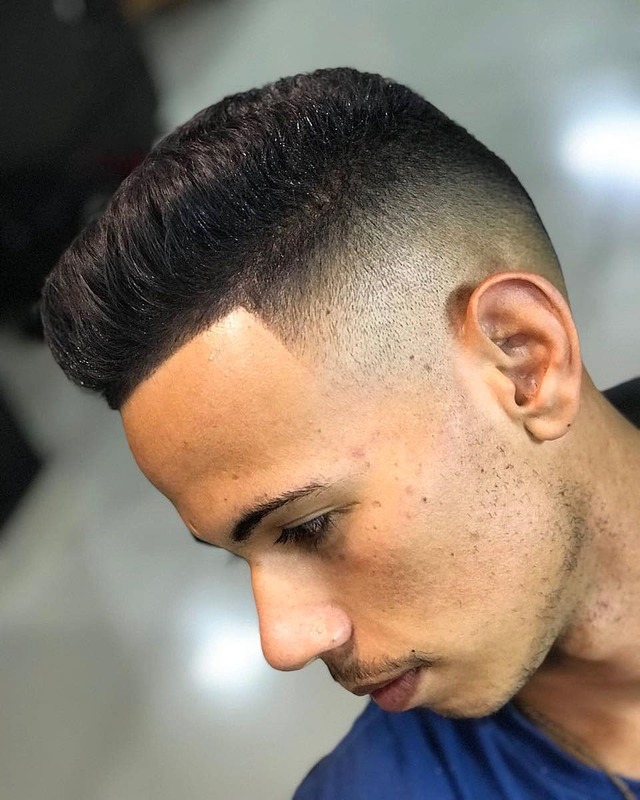 The low fade is probably the least edgy of all fades, as it leaves you with more hair on the sides than the mid and high fades. 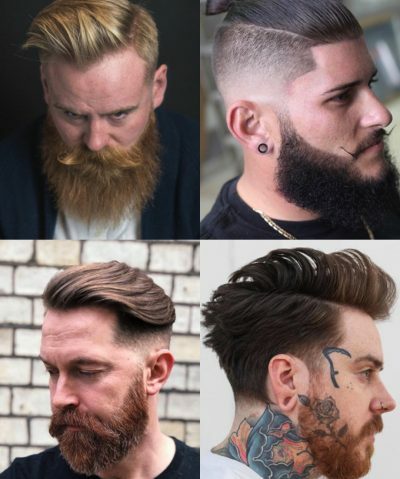 With the low fade, there’ll be a subtle increase in the hair length from above the ear, with the hair eventually blending into the cut on top of the head. Now, telling low and mid fades apart can sometimes be tricky, as they look very similar. The main difference between the two styles is where the fade begins, and for the mid fade (just like the name suggests! ), it’s in the middle of the sides. 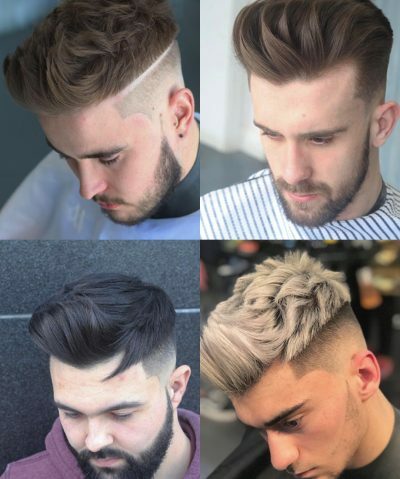 Ask for a mid-fade if you’d like a stronger contrast between the top and the sides – but a high fade leaves a little too much revealed for your liking. 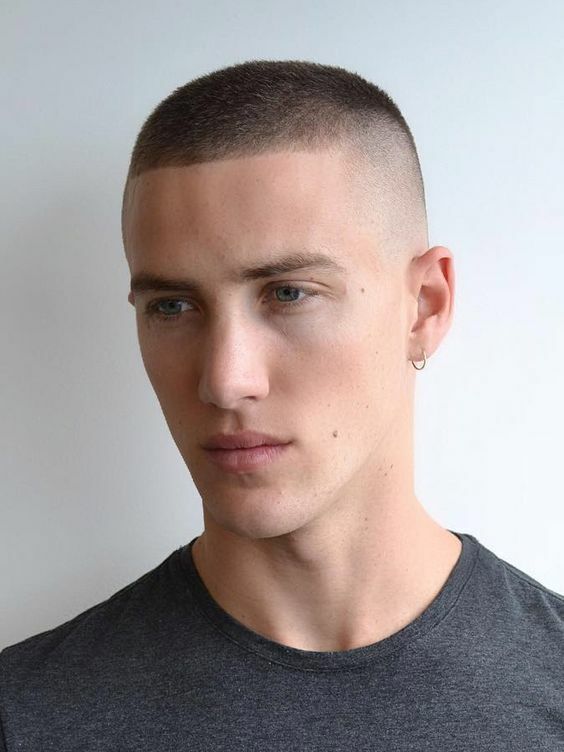 For the braver souls out there who want the ‘long top, short sides’ cut, the high fade might provide an ideal option. The fade starts higher up on the sides, with the hair becoming shorter around the temples. 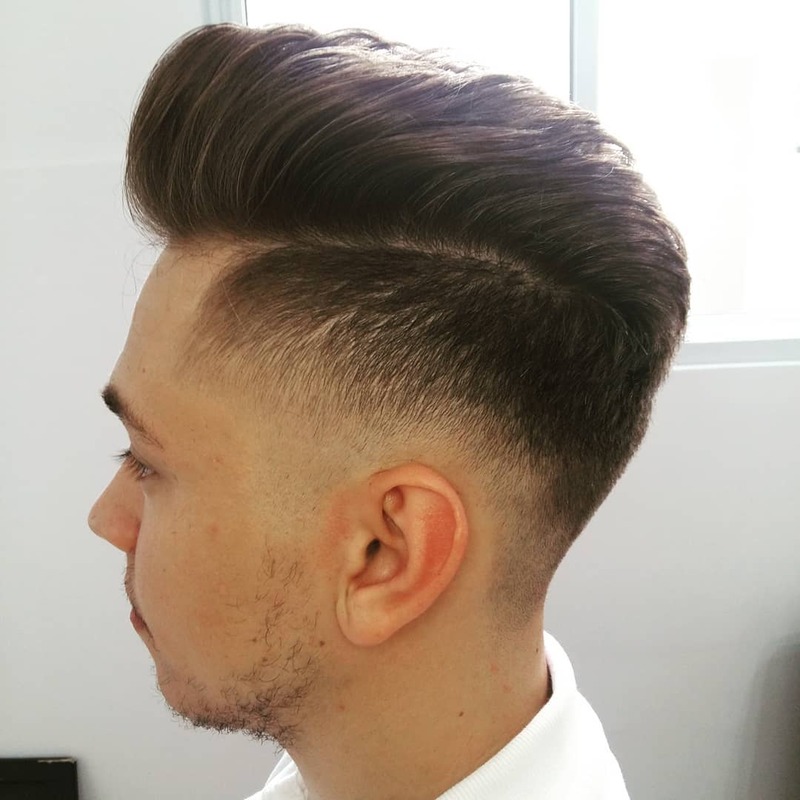 If contrast between the top and the sides is what you’re looking to achieve – this is the fade for you. If you haven’t read our recent post on faux hawks yet, then go check it out to learn about this style in more detail. In short, the fohawk is the ‘less threatening and more sophisticated’ relative of the well-known and rebellious mohawk. 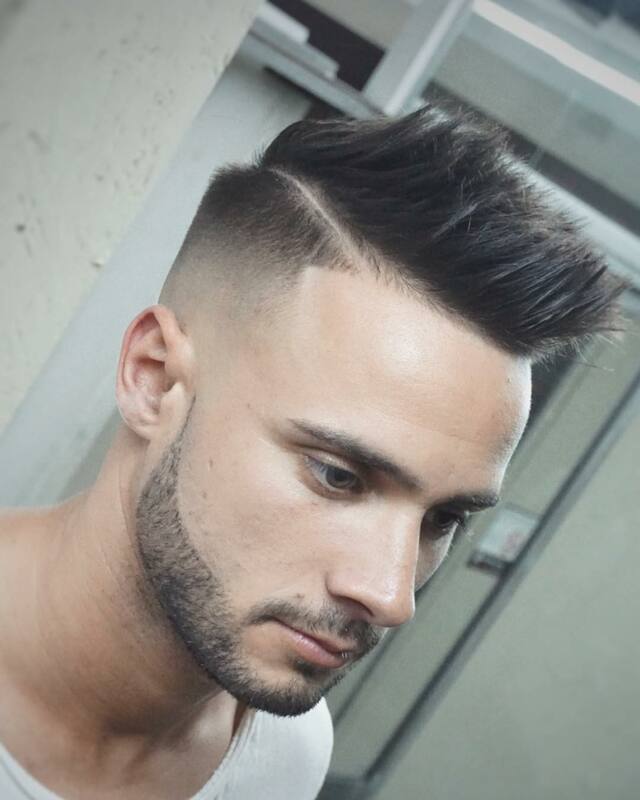 The faux hawk is ideal for a man looking for a fresh, new look that’s exciting, yet not overly extravagant. 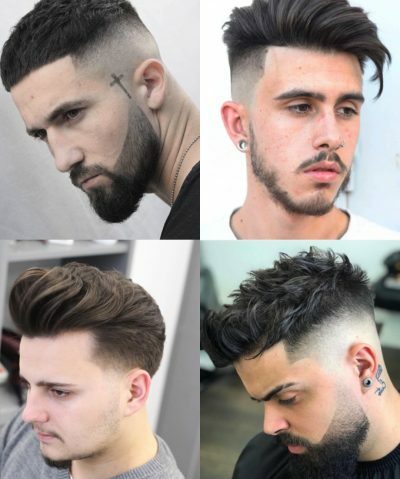 It’s defined by shorter faded or tapered sides, and a fohawk on top – hair that’s long enough to be spiked up, but not as dramatic as the strip of hair normally seen in a mohawk. 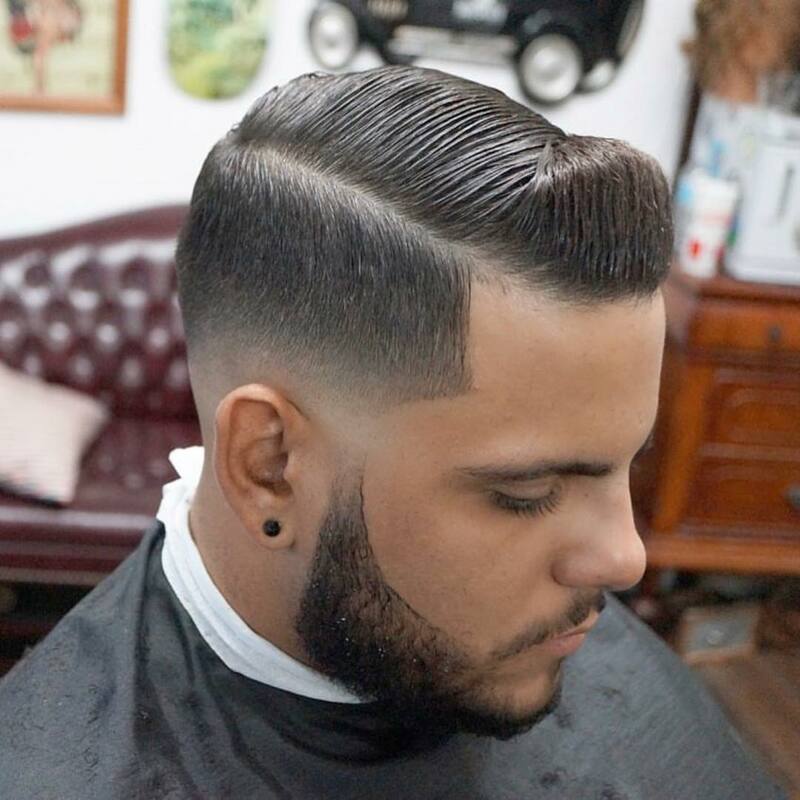 The pompadour is a classic cut which has been around for decades – and seems to be going nowhere! The way to achieve this distinctive hairstyle is by brushing your hair up and back – that’ll create the volume and texture (use a dash of product to help you achieve that!). The pomp is smooth and seductive – although, you can also ruffle the hair slightly to give your pompadour a contemporary edge. The quiff is another iconic hairstyle that has lived on forever – and is only soaring in its popularity. Combining key elements of the pompadour and the 50s flat top, the quiff will need plenty of hair at the top, and shorter hair on the back and sides. The hair on top is brushed focusing on the volume of the forelock (that’s hair above the forehead), curving it back towards your head. Shorter hair will achieve a smaller, less attention-grabbing quiff – while medium length hair styled into a stand-out quiff. This is where things can get a little confusing, since the undercut looks a lot like a fade. 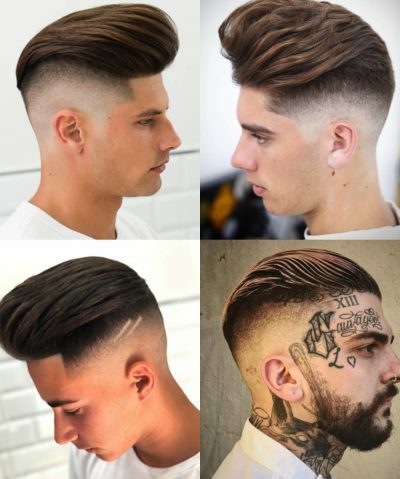 The main difference between fade styles and an undercut is the fact that it’s cut very high on the head and the hair on the sides is all one length (hence – no fade!). Undercut hairstyles can vary greatly – and you can have an undercut with short hair, as well as long locks, which is why the look is so flexible. The clue is in the name! This neat and tidy hairstyle is all about slicked back hair, which can be great for a man who isn’t a fan of the messier cuts. According to the majority of barbers, you’ll achieve the perfect, classy slick back with the help of some pomade and sea-salt spray – and we’re not going to argue with the pros. Simply brush your towel-dried hair towards the back of your head – then apply some sea-salt spray to add texture. You can either allow your hair to dry naturally or use a blow-dryer for a quicker style. Now, apply pomade, spreading it through the hair – and pulling it backwards as before. Side part is probably the first hairstyle that comes to mind when someone mentions a professional-looking man. It’s timeless (been around since the 1940s! ), neat and very classy. Best of all – it’s highly versatile, so works well on short (but not too short), medium and long hair. 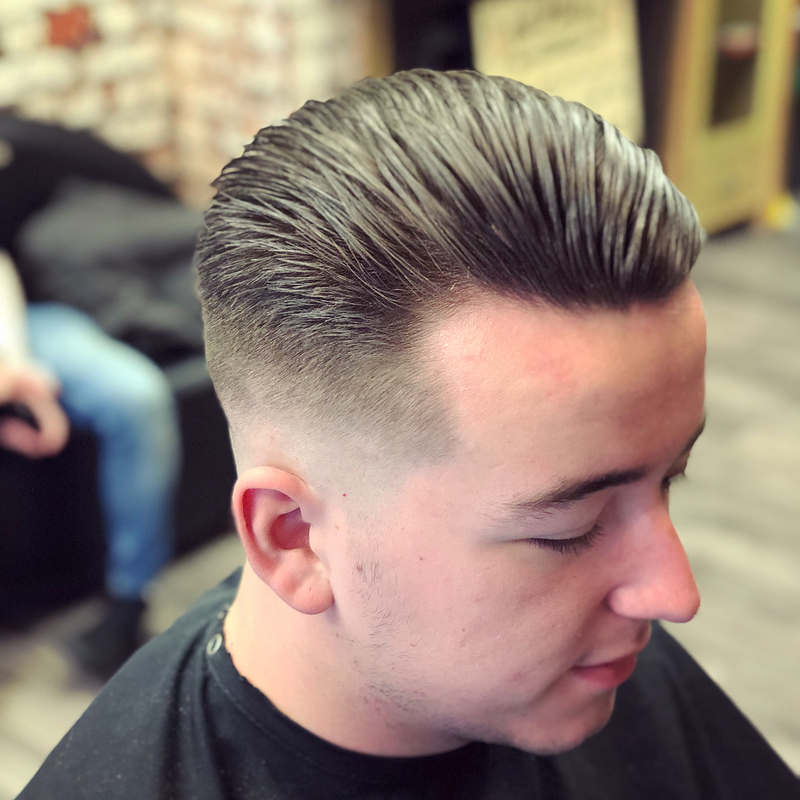 As it is possible to create a side parting without asking for a specific cut, you should mention to your barber that you’re going to want to achieve it. Ask for a ‘hard part’ – they will blade down the parting to make things easier when it comes to styling. If you’re looking for a fuss-free hairstyle that’s not even the slightest bit less cool than the pompadour or quiff, then the textured French crop is what you need. It consists of short hair all around the head and a stand-out, heavier fringe. The best thing about the French crop is that it won’t require frequent trips to the barber, and it’s very low-maintenance. For a French cut, you’ll only need about one or two inches of hair in the front, with shorter hair throughout. When speaking to the barber, ask for clipped sides and back. When it comes to the top, if you’re looking for a more ragged look, ask for it to be point cut. Otherwise, a blunt cut will give you a neater appearance. Spiky hair is one of those styles that can look uber cool without having to style it for hours. If anything, you can pretty much leave your house as soon as you wake up, because the messier the spikes, the better! Unlike the spiky hair of your young years, the modern-day spikes are all about creating texture and a much more natural appearance (no more crusty and hard spikes!). A little bit of hair wax will help you achieve cool, matte spikes – just tousle your hair upwards. What we love the most about the hairstyle is that it you won’t require a special cut for it – and it’ll work on pretty much any hair length. You can learn how to style spiky hair here. This quirky look looks so effortless and cool, that we’re tempted to let our hair grow a little before heading to the barber’s again. The good news, however, is that you don’t need your hair to be extremely long to be able to tie it into a man bun – 6 inches of hair is more than enough. 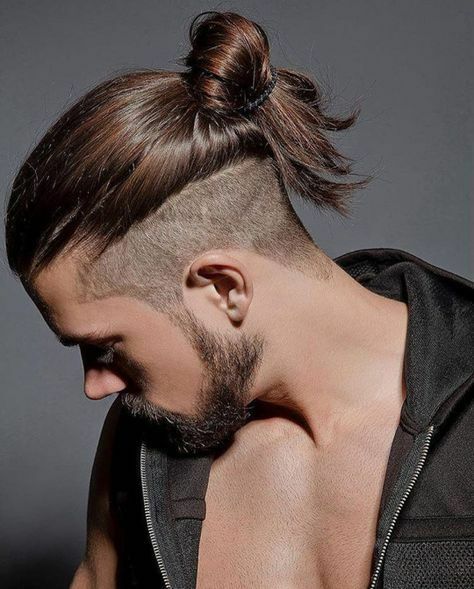 Tying your hair into a man bun is dead easy – simply form your hair into a ponytail and secure it with an elastic. On your last pull, only pull your hair half way through to form a man bun. Choose whether you want it up high, in the middle or down low on the head. You’ve come across a top knot before, haven’t you? Well, it’s a trendy way of keeping pesky hairs out of your face, particularly if you have medium to long hair on top. 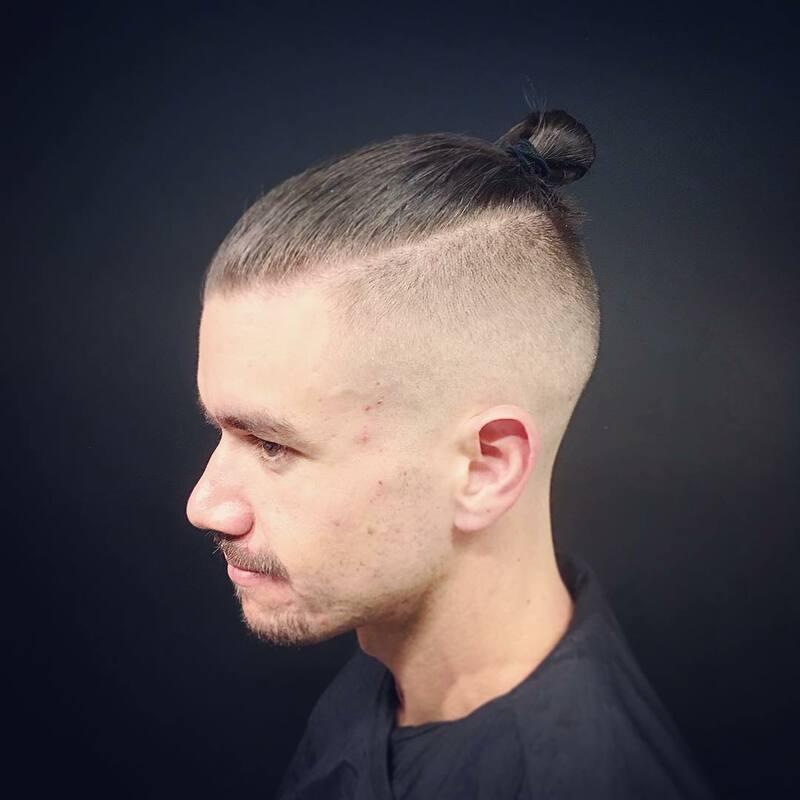 The man’s top knot often involves shorter faded or shaved sides, with longer hair on top. It’s also very simple to achieve – simply comb your hair back and tie it up. Done!